G4E Infinity game is another point & click escape game developed by Games4Escape. In this set of games, you have to find six stones, each sequel of this game you have to find a single stone. 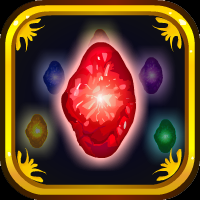 In this game, you have to find the reality stone with the help of useful objects to interact with them and solve the puzzles. Good Luck and have fun! I like it. though the slider puzzle in the tree house could use a Skip Button.